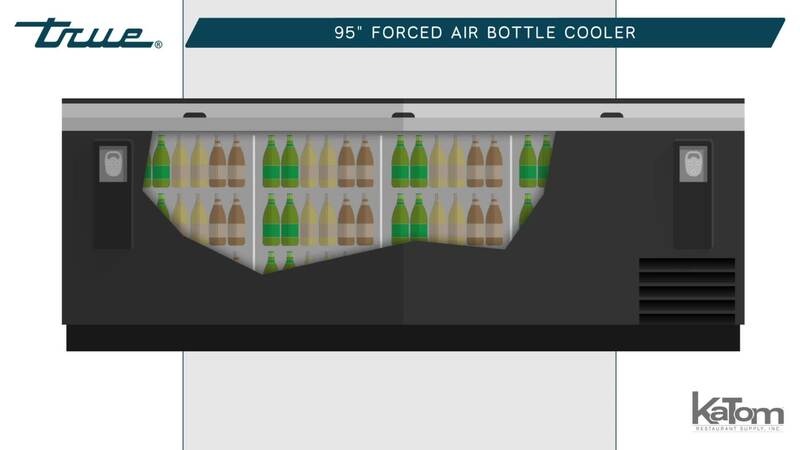 The True TD-95-38-HC forced-air bottle cooler can hold 37.5 cases of 12-ounce bottles or 55 cases of 12-ounce cans. Access to drinks is provided through three sliding lids that are constructed of stainless steel. Keeping products separated by type or brand is facilitated by seven PVC-coated bin dividers that are included with the cooler. Constructed of galvanized steel, the interior is sturdy and easy to clean, but the exterior is constructed of black powder-coated, cold-rolled steel to prevent rusting. A built-in bottle cap opener and cap catcher facilitate serving customers and prevent caps from littering the floor. Foamed-in-place polyurethane insulation retains cold air in the cabinet while also giving the cooler structure. 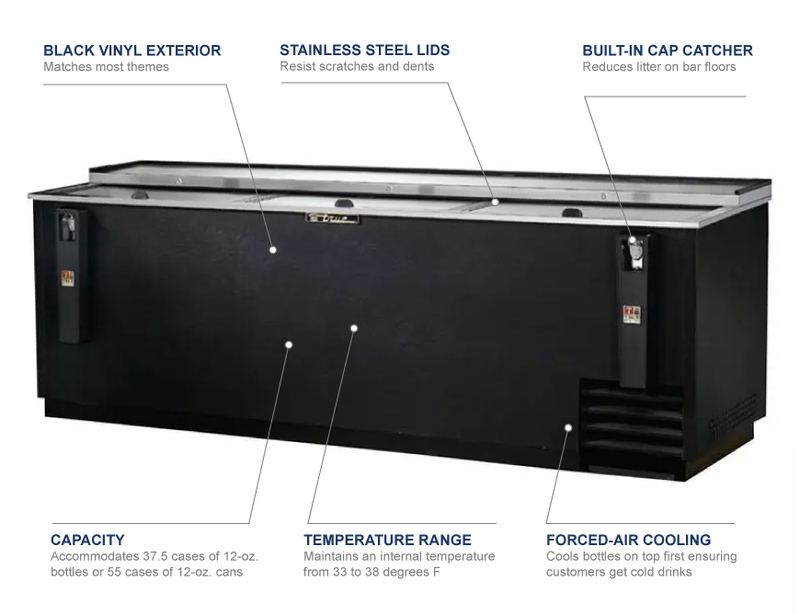 Temperatures range from 33 to 38 degrees Fahrenheit and are maintained by R290 hydrocarbon refrigerant. Through evaporator fan motors, the unit ensures products on top are forced-air cooled before products on the bottom. Electronically commutated evaporator and condenser fan motors move a consistent volume of air to reduce heat production and conserve energy. To facilitate maintenance, the refrigeration system on the True TD-95-38-HC bottle cooler slides out from behind the front grille. 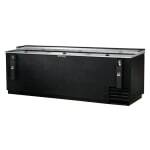 Looking to learn more about bottle coolers and what they offer? 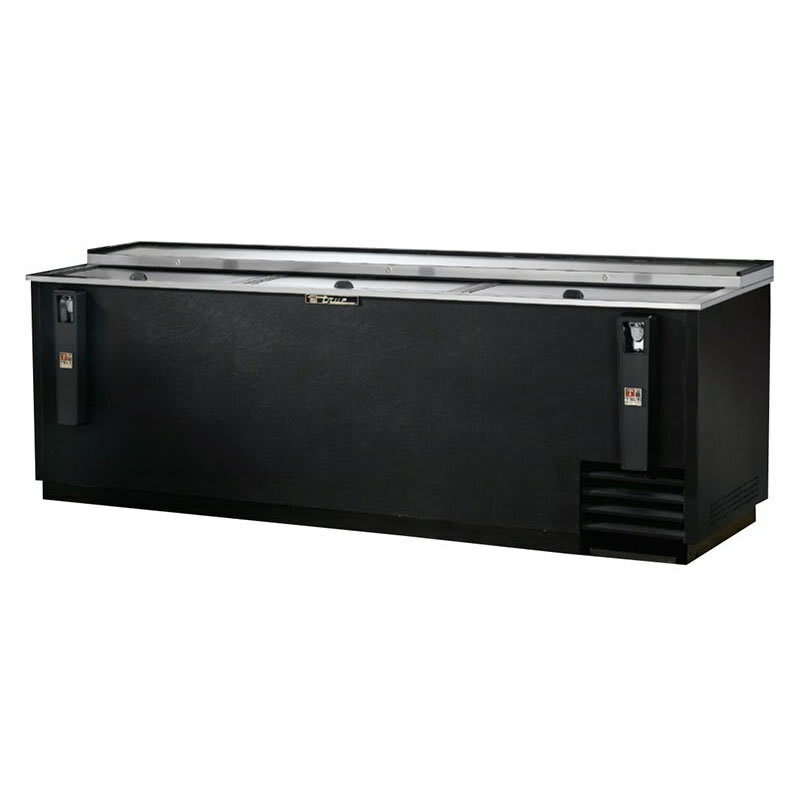 Check out this article on bar refrigeration. "I sell and service the True TD-95, the product works great, you must do maintenance and have it serviced by a reputable refrigeration company, ye..."
"I sell and service the True TD-95, the product works great, you must do maintenance and have it serviced by a reputable refrigeration company, yearly at least. If you do this you will have a product that serves you well for 10+ years."